Mamadou Ba is head of the Emergency and Pneumology unit at Albert Royer Children’s Hospital in Dakar, Senegal. Dr. Ba participated in drafting Senegal’s application for GAVI support which, when approved in 2004, enabled Senegal to introduce both Haemophilus influenzae type b (Hib) conjugate and hepatitis B vaccines into Senegal’s Expanded Program of Immunization. Following this, statistics showed a major decrease in the child death rate, suggesting that with better and higher immunization coverage, a direct and long-term positive impact on infant and child mortality could be achieved. He began his work at Albert Royer Children’s Hospital in 2002 as the sentinel site’s supervisor. This hospital was selected by the World Health Organization as the sentinel site for the network surveillance of rotavirus diarrhea, pediatric bacterial meningitis, Hib, Streptococcus pneumonia and Nesseiria meningitidis. 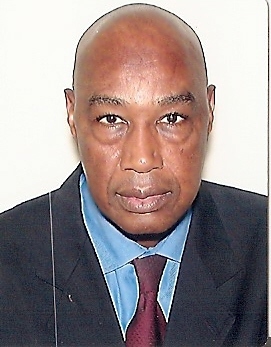 Dr. Ba graduated from University Cheikh Anta Diop in Dakar (UCAD) in 1980. From 1985 to 1987 he studied pediatric pneumology as a resident and fellow at Montreal Sainte Justine Hospital, the Children’s Hospital at the University of Montreal in Canada. In 1987, he was awarded a prize for continuous medical training research. Dr. Ba became an assistant professor of pediatrics at the African and Malagasy Council for Higher Education (CAMES) in 1992. In 1996, he was appointed senior professor of pediatrics at UCAD. While at UCAD, Dr. Ba published over 200 original medical and scientific articles. In 2001, Dr. Ba was nominated for the Knight of the Senegalese National Order of the Lion, one of the most prestigious awards given by the Republic of Senegal. In 2010, he awarded a diploma of ADVAC (Advanced Course of Vaccinology), a two week training program for decision makers on vaccines and vaccination. He is a member of several international scientific boards, including the West African Rotavirus Advisory Board.